Spring has arrived and that means in seasons fresh fruit. 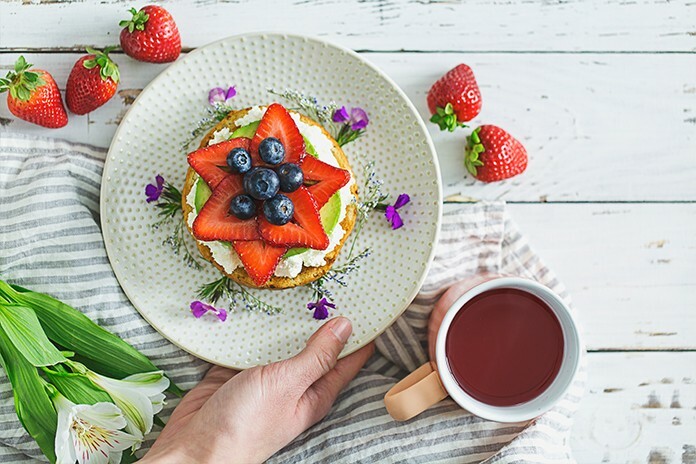 Paired with Canyon Bakehouse’s delicious Gluten Free Cinnamon Raisin bagel, this avocado and fresh fruit recipe will have your taste buds dancing. Spread each toasted bagel half with cream cheese. Top the cream cheese with avocado and fresh fruit.